Have a penchant for hedgehogs with an inexplicable attraction to gold rings? 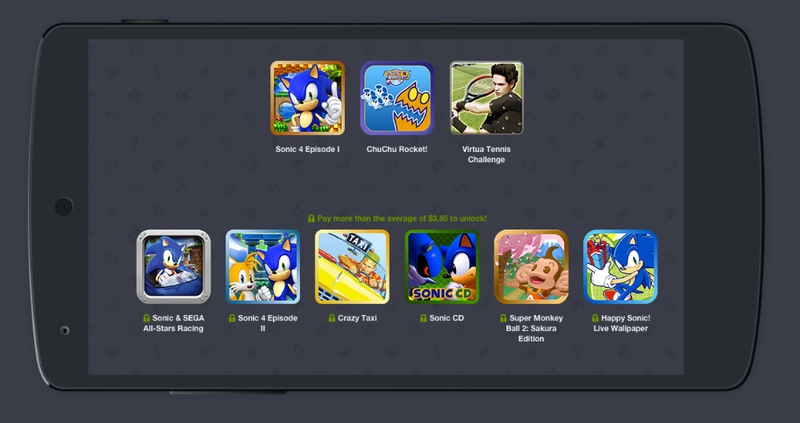 You will be very interested to learn that the Sega-themed Humble Bundle has gained a few bonus Sonic titles for those who give more than the average amount, currently sitting at $3.85. Sega has generously donated to the catalog Sonic CD and Happy Sonic! Live Wallpaper, which retail on the Play Store for $2.99 and $.99, respectively. Sonic CD is a remake of the titular game for the Sega Genesis, while Happy Sonic! is a live wallpaper that features a tickleable (seriously) Sonic on a polka-dotted background. Solid additions, I’d say. If you still have yet to grab this Bundle, go get it.